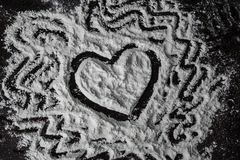 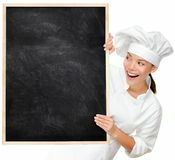 Baker, chef or cook sign. 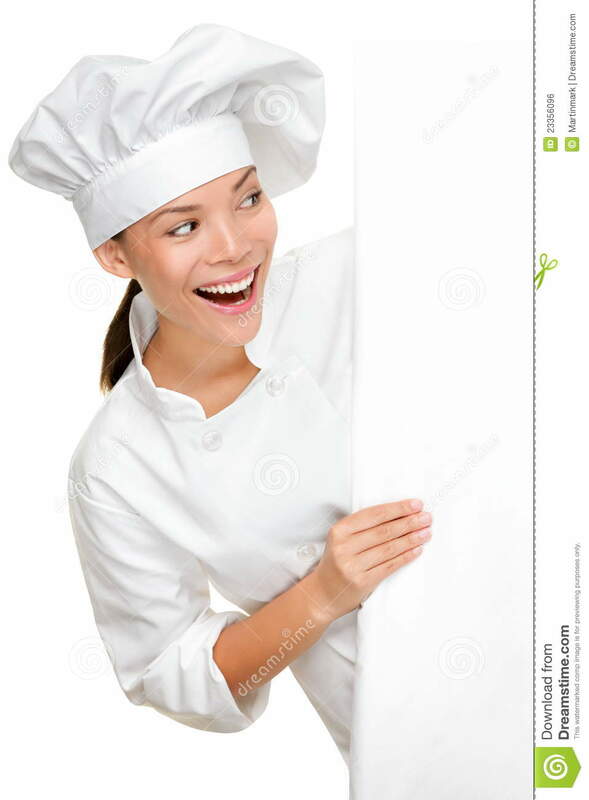 Baker, chef or cook showing sign billboard looking excited happy and smiling. 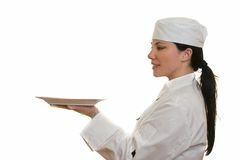 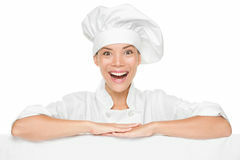 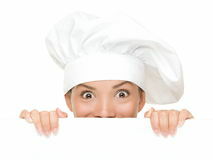 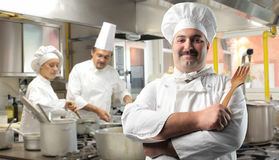 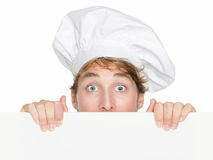 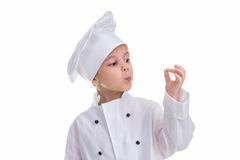 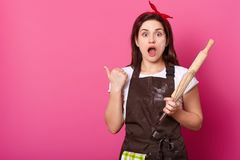 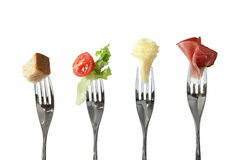 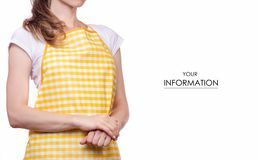 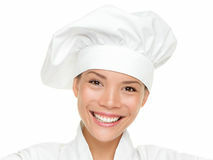 Young female multiracial chef in chefs uniform isolated on white background.